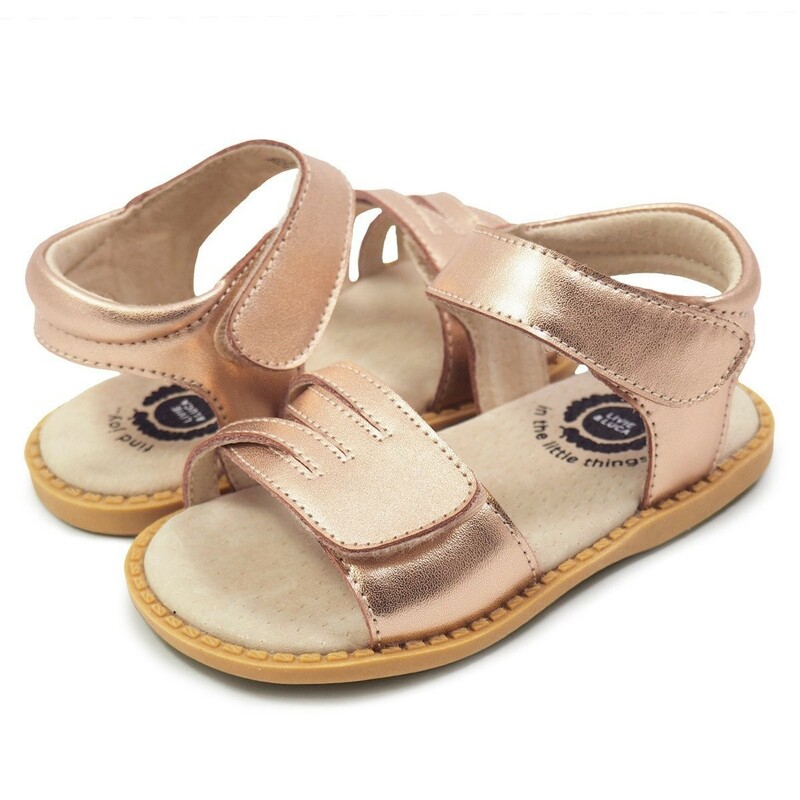 Inspired by the islands and coastal waters of Greece, this girls sandal is ready to sparkly in the Summer sun in this hot metallic color! Featuring charming woven straps, this gladiator-style sandal for girls has a slimmer ankle strap and padded heel for comfort, and hook-and-loop closures for easy on and off. Ready, set, shimmer! Hook-and-loop Closure on Ankle and Toe Straps for a Perfect Fit! Inspired by a pair of hand-made shoes combined with the purpose to spread joy, Mitzi Rivas brought Livie & Luca’s first collection into the world in 2005. When her close friend, Amie Garcia, saw that first pair of shoes she fell in love and wanted to give them to her own children, and to others. The mission at Livie & Luca has always been based in these values: to spread joy and to make a difference through the creation of comfortable and whimsical shoes, to do meaningful work in which their products positively affect the lives of others. The guiding idea behind Livie & Luca is that they sell more than just shoes and this idea has proven to be the key to their success. Livie & Luca Shoes are designed with the joyful essence of children in mind. You’ll find whimsy and magic and all sorts of surprising details! 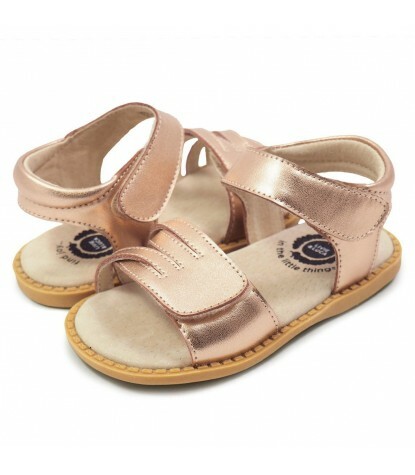 For the well being of our planet and your child, Livie & Luca shoes are made from CPSIA-certified lead-free leather. Each pair of shoes are super flexible and allow for a full range of motion, with wide toe boxes allow for plenty of wiggle room. Each pair is lightweight and breathable, fully lined with soft leather, which is naturally anti-microbial and breathable. In addition, most uppers are made of genuine leather or suede. Designed to be pulled on and off in a flash, for the kiddo on the go, some shoes are even machine washable! Just check the care label for directions. Little ones and parents alike love Livie & Luca, buy yours today and see for yourself!